Get your tickets for the San Marino GP! Tickets can already be purchased for the 2019 Gran Premio Octo di San Marino e della Riviera di Rimini 2019, which will be held on September 13-15, 2019. 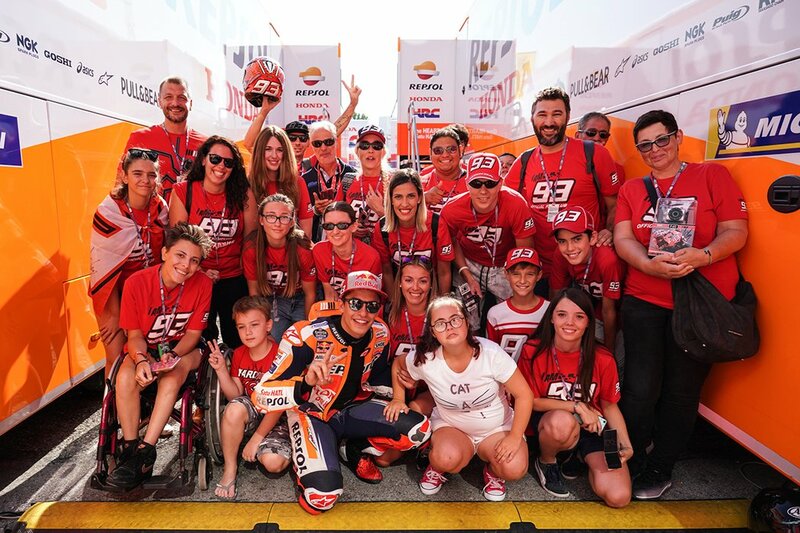 The Official Fan Club Marc Márquez will be located in the D-TOP Tribune. If you want to enjoy the Grand Prix with us, please make the payment into the Fan Club account (ES85 0081 0282 1800 0117 0326 / BSABESBBXXX of the Banco de Sabadell), indicating your full name and the number of tickets you want to buy, and send us a confirmation e-mail to fcmm93@gmail.com (subject SAN MARINO GP TICKETS). The price for the tickets for the San Marino GP, saturday and sunday, is 155 €. The price for the 1-day ticket (Sunday) is 125€.